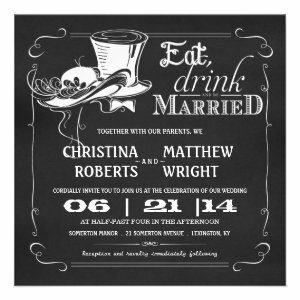 If you are looking for some unique Chalkboard wedding invitations you in the right place. 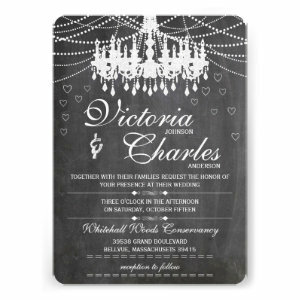 These high quality chalkboard wedding announcements are very easy to personalize to suit your needs! 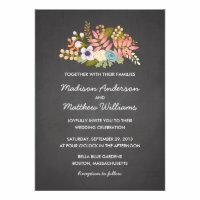 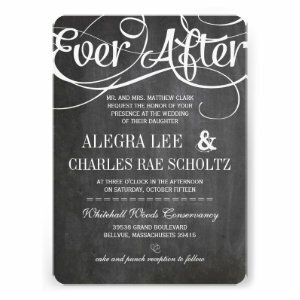 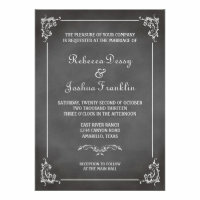 Chalkboard Wedding Invitations are a popular choice for weddings and wedding parties. 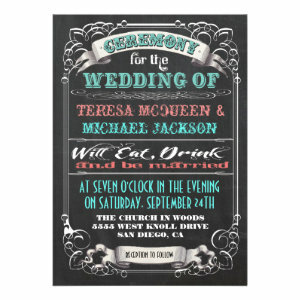 They can be used for all sorts of themes and styles making them a very versatile announcement. 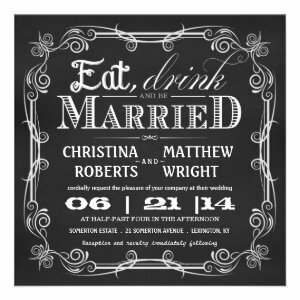 Some of the most popular wedding themes which use chalkboard invitations are, Boho themed weddings, Art Deco style, Steampunk weddings, Rustic Country weddings, and also Traditional weddings. 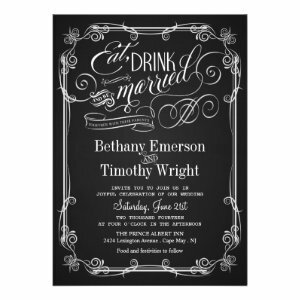 Some of our chalkboard wedding invitations feature small designs but most make use of stunning typography. 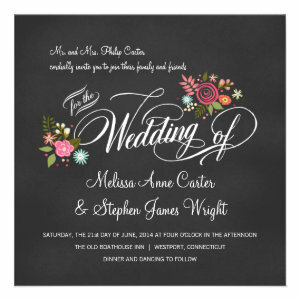 The great thing about typography is it not only suits many different themes of wedding, formal or informal, but it can be used to support an existing theme or as blank canvas to build your own theme around. 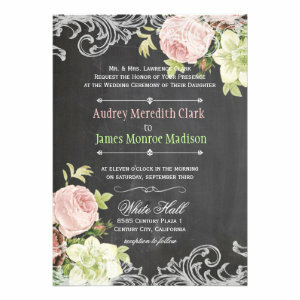 All of our wedding invitations can be personalized by simply changing the text, font, style and layout, then choose the paper type and finish for your perfect wedding invitation. 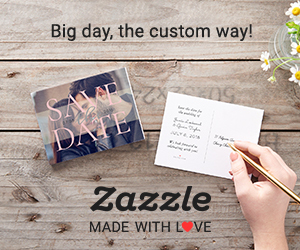 Guests love receiving personalized invites and it also takes the pain out of handwriting each one, saving you precious time. 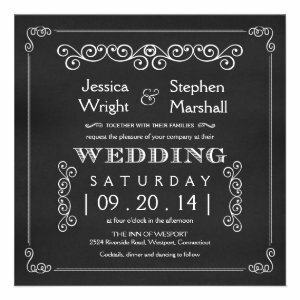 Have the perfect wedding exactly how you want with a Chalkboard wedding invitation.